We are committed in the field of education based on nature and tradition. What makes nature a source, as well as comprehensive character education. One of them is with traditional games. Traditional games as learning with nature and a holistic approach to education. The game "cak bur" is one of the traditional games that today is very rare to be played by children, or even the Minangkabau generation is no longer familiar with this game. In some areas this game is also known as Galah Asin, Galasin or Gobak Sodor. Therefore, the game "cak bur" at this year's Minangkabau School Sports Week (PAKASAM) is a form of preservation of traditional Minangkabau games. This traditional game is the main attraction for Sekolahalam Minangkabau students. If further judging by the game "cak bur" is not just a mere game. But it is full of life values. In this game, children are taught to build trust with one another so that a solid teamwork is formed, introducing a democratic system to choose a leader, setting the right strategy, reading the curriculum or psychological conditions of the team and opponents, increasing accuracy, and gathering energy to be the fastest. Through this traditional game, we hope to form the bright character of the Young generation, have a great leadership spirit, implement trusteeship, uphold honesty and sportsmanship, be able to analyze and strategize (plan) ahead, and have a great spirit. 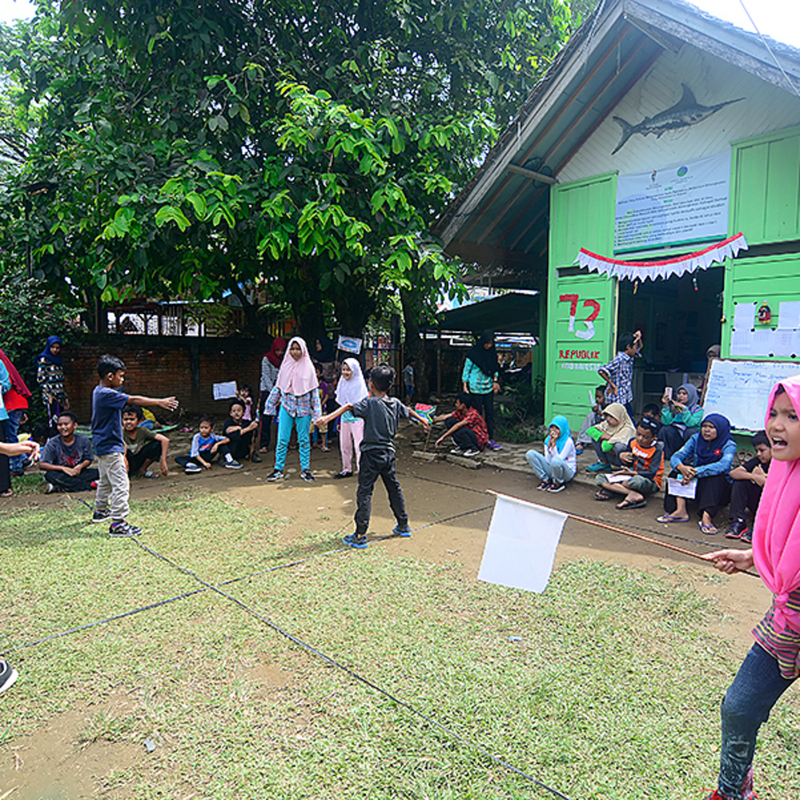 And actually, through the traditional games we teach in Sekolahalam Minangkabau has represented the 21st century education projections that are being promoted by the government, namely PPK (Strengthening Character Education), 4 C (Critical thinking, Collaborate, Creative, Communication), and Literacy. Played by Group ranging from young children to adults , the size of the field based on the number of players or groups. Markers for the field, may be anything according to player and group agreement. The way to play is very simple too. Children are divided into two groups. Attacking groups and surviving groups. The innovation provides exercises for developing emotional skills and self awareness and demonstrates how these skills can be integrated into the school day and teaching.